The mobile GTX 1050 Ti will reportedly run even faster than the desktop GTX 1050 Ti according to preliminary benchmarks. 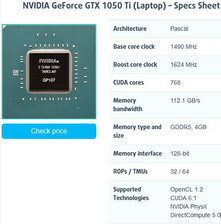 Speculation early last month hinted at notebooks carrying GeForce GTX 1050 Ti and GTX 1050 GPUs coming early next year, but laptopmedia.com has already leaked supposed specifications and benchmarks for the upcoming GTX 1050 Ti for notebooks. "We have to admit that we’re pretty impressed by its performance, given the price category we expect it to hit." If the leaks are proven true, then we can expect the GTX 1050 Ti for notebooks to deliver roughly the same performance as the Maxwell GTX 970M. 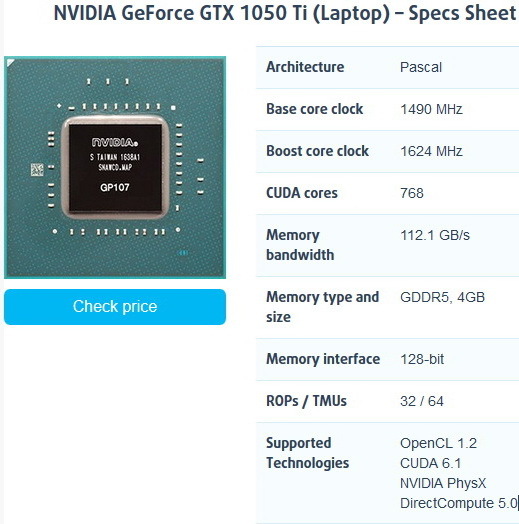 Laptopmedia is even suggesting that the notebook GTX 1050 Ti can outperform its desktop equivalent under certain conditions as the mobile version will have more TMUs (64 vs 48), a higher base clock rate (1493 MHz vs. 1291 MHz), and a higher Turbo clock rate (1620 MHz vs. 1392 MHz). 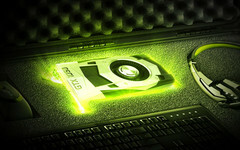 The GTX 970M is a high-end Maxwell GPU capable of running most demanding titles in 1080p on High or Ultra settings so long as the player finds the 30 FPS range acceptable. Currently, Pascal GPUs for notebooks are available only at the enthusiast level with the GTX 1060, 1070, and 1080.